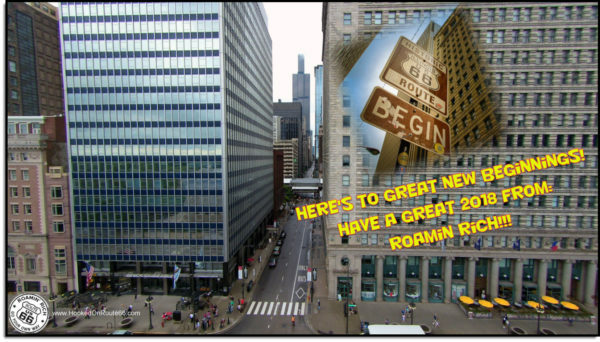 Happy New Year Roadies!!!! 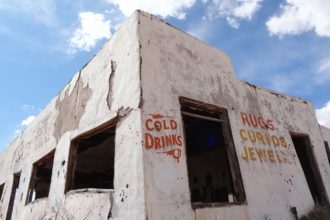 2017 was full of ups and downs for Route 66. But as always, us roadies are always optimistic for the future of our beloved Mother Road. Personally, for me I was unable to get out on the road as much as I wanted. But I ended up in the last frontier (Alaska) for several weeks. If you get the chance to do that trip, you should. It’s absolutely amazing. So what is Roamin Rich up to for 2018? Tons! – And all of it is very exciting. My dreams of bringing Route 66 to the entire world are really looking good. So here’s a quick run down of what I have planned for this year. My online Gift Shop has been slightly barren since I opened it up last year. 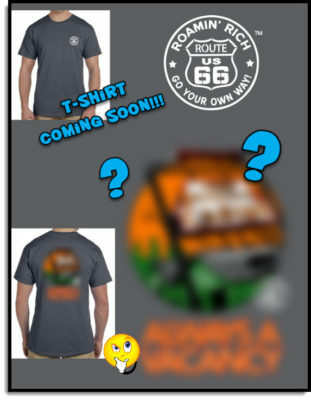 We will be adding lots of new products unlike that of any you’ve seen on Route 66. You’ll be able to find all sorts of unique items to set off your collection. This month we will be adding two, YES TWO great T-shirts featuring one of the MOST ICONIC PLACES in Missouri and the entire Route. I know you’re dying to figure it out, so I left you hint below in the images provided. 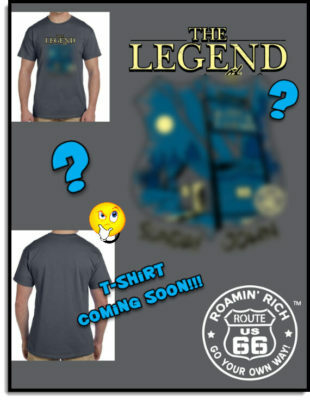 Be sure to be on the lookout for my article announcing the release of these special designs with the trademarked Roamin Rich brand. 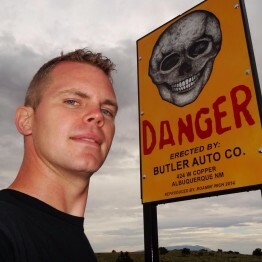 So we are approaching the 1 year anniversary of the release of my awesome video, Most Amazing Views Of Route 66. 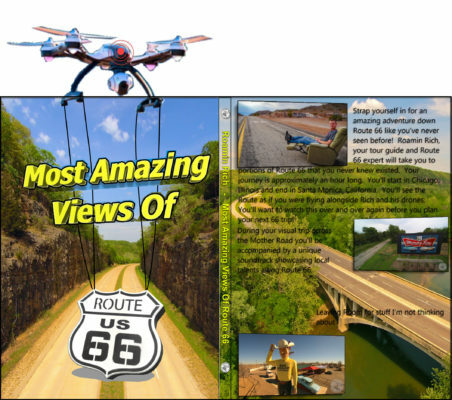 It’s received over 200,000 views on YouTube and has brought unique and obscure views of Route 66 to all corners of the world. The video has been so well received we plan to release it on DVD and Blu-ray by the end of first quarter 2018. BUT WAIT!!! – YOU CAN SEE IT FOR FREE HERE, RIGHT NOW! 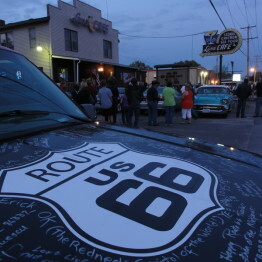 If you’ve already seen it, check it out again and share it with a friend that doesn’t know about Route 66. – You never know when you’ll plant a seed in someone that will grow into a great contribution to our community. 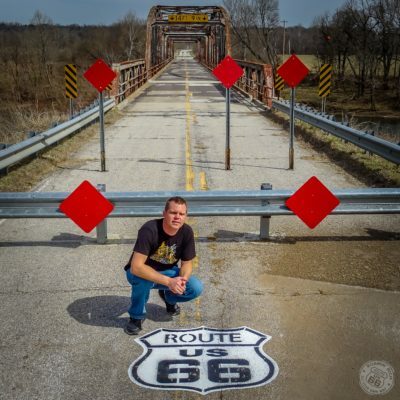 We were so excited about the success of the video, we also thought it would be awesome if we did an 8 state series of, The Most Amazing Views Of Route 66! So be on the lookout for us THIS YEAR. That’s right, I’ll be bringing my gear and my drones all the way from Chicago to Los Angeles this year. We hope to have this awesome collection available 1 year from now. Wish us luck by kicking in some gas and food money! 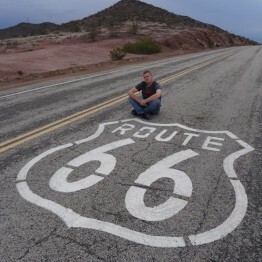 I’m still working on marking Route 66 with my signature stencil that you see up and down the route. Currently, I’m working with Oak Grove Village, MO. You never heard of them??? Well, I’m here to change all of that folks! – They have already put several of my stencils down along their lofty 1.15 miles of Mother Road! That’s crazy, right? – NO! They love their section and want to show it. They are a shining example of how every town should care for their section of road along Main Street of America. So this year they want to make a big splash in a BIG way. We are working to create a REALLY LARGE STENCIL. Yeah, this one will stop you in your tracks when you see it. 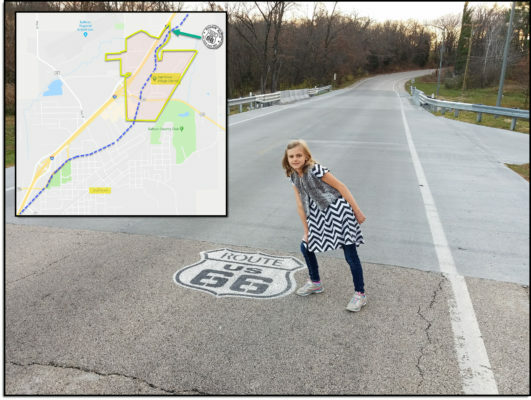 So if you’re planning on touring Route 66 this spring, be out on the look for this great little community as you approach the eastern limits of Sullivan, MO. 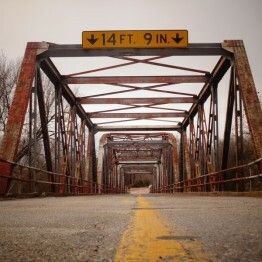 The Hazelgreen bridge at the Gasconade River will be bypassed by MoDOT sometime late this year or early 2019. For right now the bridge is safe, but not indefinitely. 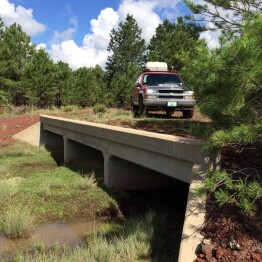 Currently a group named Workin Bridges is undertaking the process of procuring the bridge and immediate roadway. As news develops I will bring it to you. 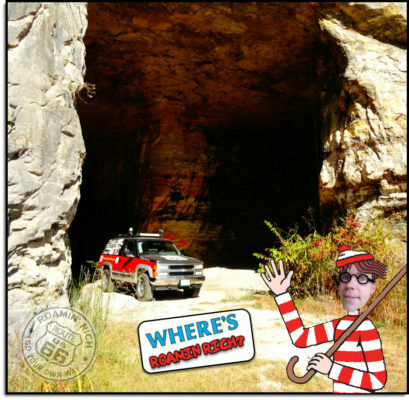 So one of the reasons why I didn’t get out much on 66 in 2017 is because the adventure truck is sick 🙁 . – I know! It’s a real bummer. You’re probably wondering what’s wrong. 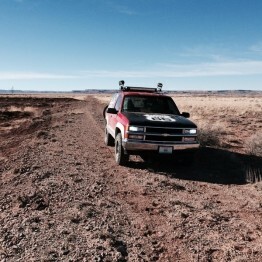 – Well, it has 241,000 miles on it. 90k of it was from Route 66. 23 years, and all the venturing out on 66 has taken its toll on the old Chevy engine. So I have taken on the task of replacing it. Would you like to help? You can make a difference right from where you sit. – Yeah, it’s really easy! – just follow this link to donate here! 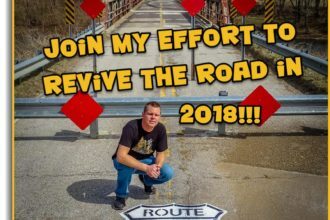 – You’ll help me continue trucking up and down Route 66 making great videos and finding new discoveries! If you donate more than $50.00, I’ll send you a great gift (let me know what size shirt you where, hint hint). If you’re after the free gift, send me a few extra bucks to cover shipping- Thanks!!! 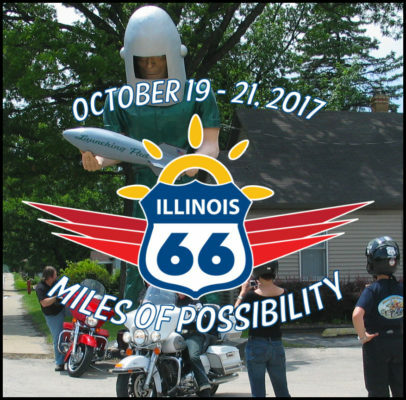 In October I will be making an appearance at The Miles Of Possibilities Conference in Carlinville, Illinois. 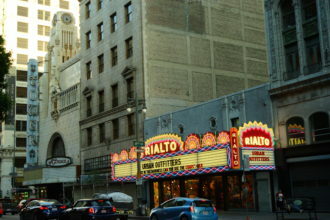 I’ll be talking about the sustainability of Route 66 in the future. If you don’t already have your reservations, make them NOW. – I’ve been known to put on a party or two at a lot of these conferences and festivals. 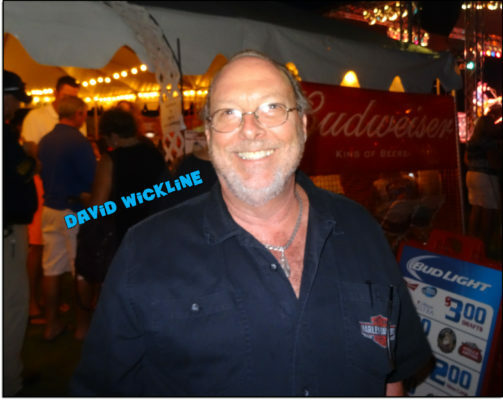 Here’s a couple of photos from past festivities in Edwardsville, IL and Kingman, AZ. 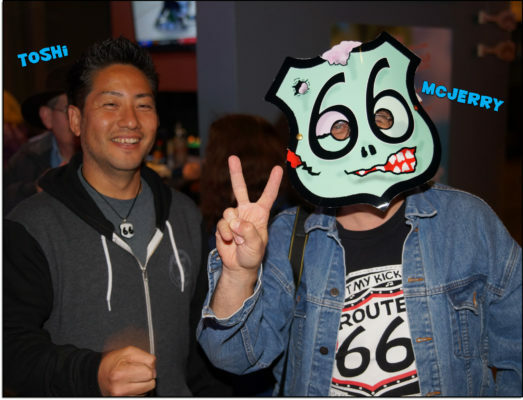 Featured is Jerry Mcclanahan, Toshi Goto, and David Wickline; all of whom are major contributors to the Route 66 community. I hope to see all of you there in October! Wow -That IS a ton going on, right?!? Do me a favor. Help me stay motivated. It’s really easy. Just share this article or any of the information found here in your favorite social media circles. When I see others getting excited about Route 66 it really gets me focused on the mission, the mission to get EVERYONE, HOOKED ON ROUTE 66!